Carcassonne is one of those ubiquitous games that pretty much everyone has played at some point. Many of you have a copy on your gaming shelf right now. But do you have all the expansions? Or maybe you don't have a copy, but want one, and the idea of those expansions is a bit daunting to have to track down. And what about storing it all? Well, Z-Man Games is here to help. 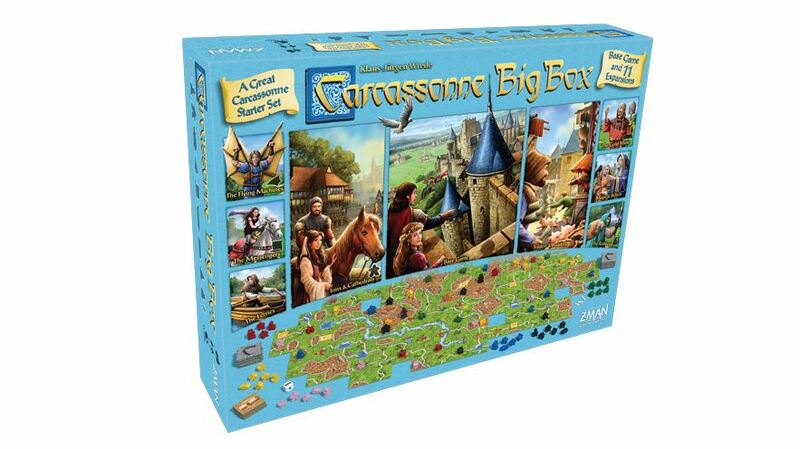 Their Carcassonne Big Box is now available.